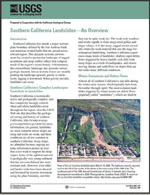 Landslide inventory maps show landslide locations and might show the dimensions and geographical extent of each landslide. One clue to the location of future landsliding is the distribution of past movement, so maps that show the location and size of landslides are helpful in predicting the hazard for an area. Landslide susceptibility maps describe the relative likelihood of future landsliding based solely on the intrinsic properties of a locale or site. Some organizations use the term “landslide potential map” for maps of this kind. 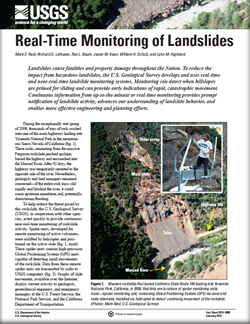 Prior failure (from a landslide inventory), rock or soil strength, and steepness of slope are three of the more important site factors that determine susceptibility. 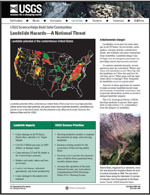 Landslide hazard maps indicate the possibility of landslides occurring throughout a given area. An ideal landslide hazard map shows not only the chances that a landslide may form at a particular place, but also the chance that it may travel downslope a given distance. 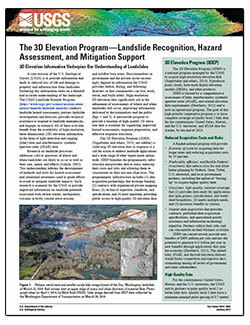 Landslide risk maps show landslide potential along with the expected losses to life and property, should a landslide occur. Risk maps combine the probability information from a landslide hazard map with an analysis of all possible consequences (property damage, casualties, and loss of service). Scenic rock cliffs falling to valley floors, rocks ripping out mountainsides, mud and debris moving down valleys at deadly speeds, mines and caves collapsing, and ocean and river bluffs sliding into the water -- all describe one of the nation’s most underestimated hazards -- landslides. Photograph from an aerial survey showing the extent and impacts from the landslide in northwest Washington that occurred on March 22, 2014. The survey was conducted by the Washington State Department of Transportation, Washington State Department of Natural Resources, USGS, and King County Sheriff's Office. Downstream impacts of a post-fire debris-flow in Mullally Canyon on February 6, 2010, near La Canada-Flintridge, California. 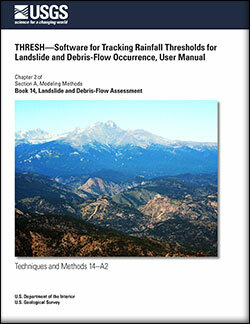 Debris flow was generated during a burst of high-intensity rainfall over the area burned by the September 2009 Station Fire. Original rainfall and telemetry station established after the 2009 Station Fire, CA. The aftermath of the January 9, 2018 debris flows in Montecito, California.